It can be easy for a loan officer to fall into a routine and get comfortable with the way things are. If your mortgage business is OK and you are paying your bills, Why change? As a matter of fact, comfort zone can be your worst enemy, because even if you are doing good in your mortgage business now, history taught us that nothing stays the same, any small change in the economy can effect your business, also there are new loan officers joining the mortgage industry every day, so staying put, means that you are going backwards. 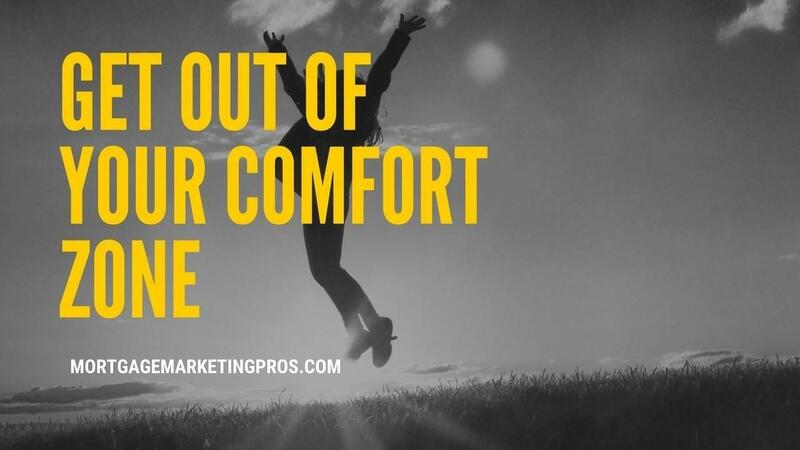 Pushing yourself to expand your horizons and get a little better each day is essential to growth, by striving to learn new things in improve with every aspect of your business, you will be creating a new comfort zone like no other, which is to be only comfortable when you are moving forward.